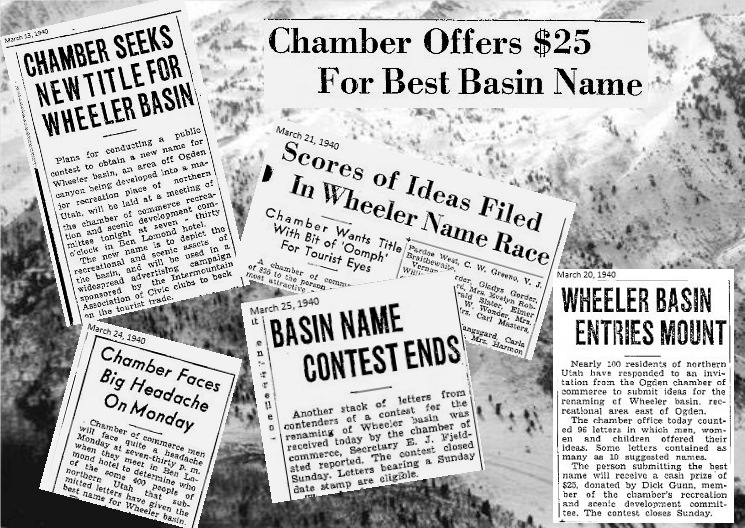 In March, 1940 the Ogden Chamber created a contest to name the new ski area. A $25.00 prize was to be given to the person who came up with the winning name. Over the next few weeks over 1000 names were entered. Less than a week after the name was chosen the Idaho Evening Times protested the use of “Magic Valley”. They stated that “If you want a civil war. Our legions are ready to March. Trust your choice. 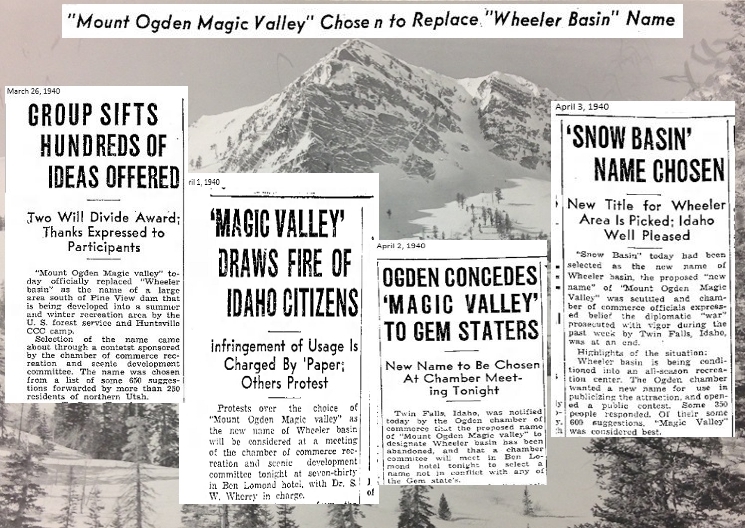 “Magic Valley” as Ogden slogan was not done with malice aforethought. Southern Idaho has been using the slogan for years. We believe you are fair enough to abandon the use of our slogan before it comes to war. 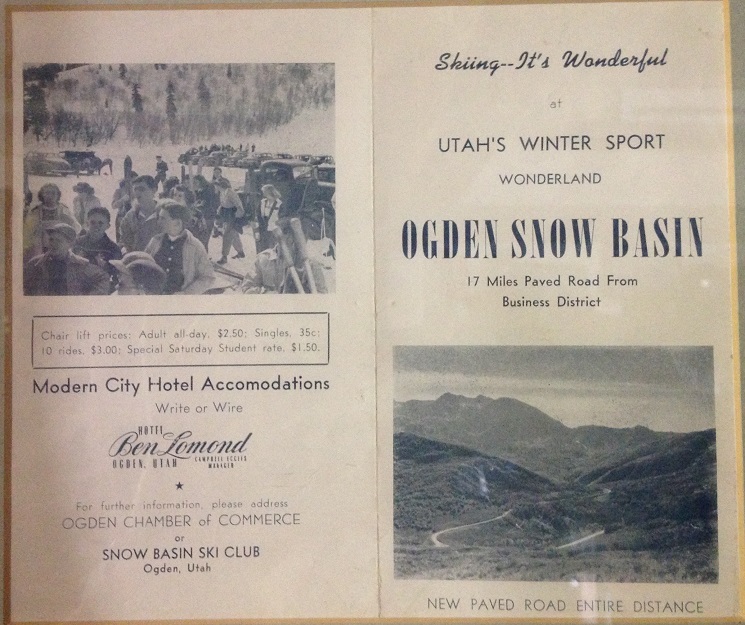 Besides we’re not ready to enlarge our boundaries to include Ogden.” A day later: “Ogden concedes “Magic Valley” to Gem Starter’s” On April 3rd, 1940 the name: “Snow Basin” was selected as the new name of Wheeler Basin. 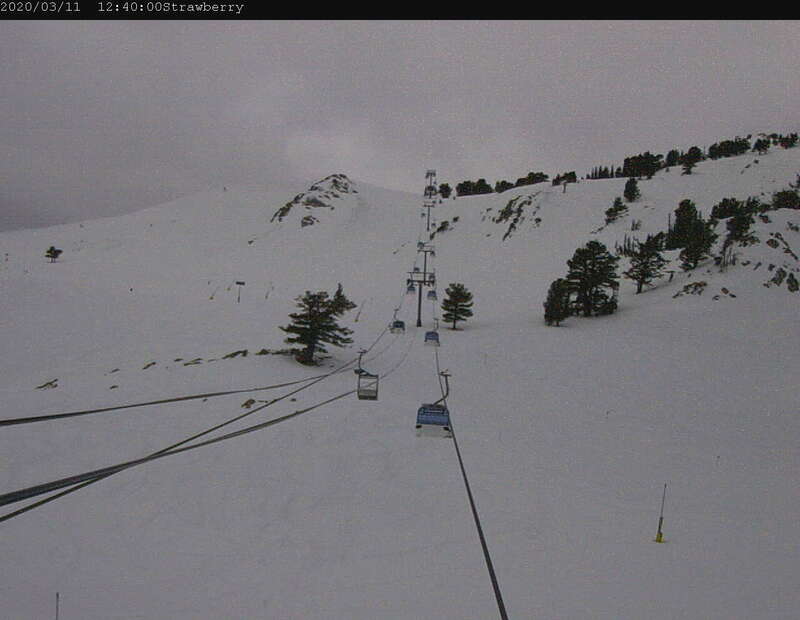 Can you imagine if “Mount Ogden Magic Valley” had stuck? Thank you, Idaho. 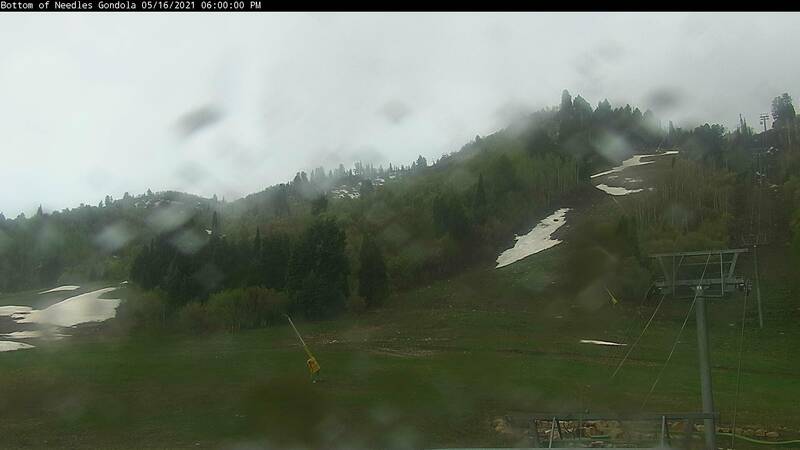 Those of you who skied at Snow Basin prior to the completion of the Trapper Loop access would have used the original Snow Basin Road, with all of it's tight corners, loops, ups and downs. And do you remember the sign at the beginning of the road? 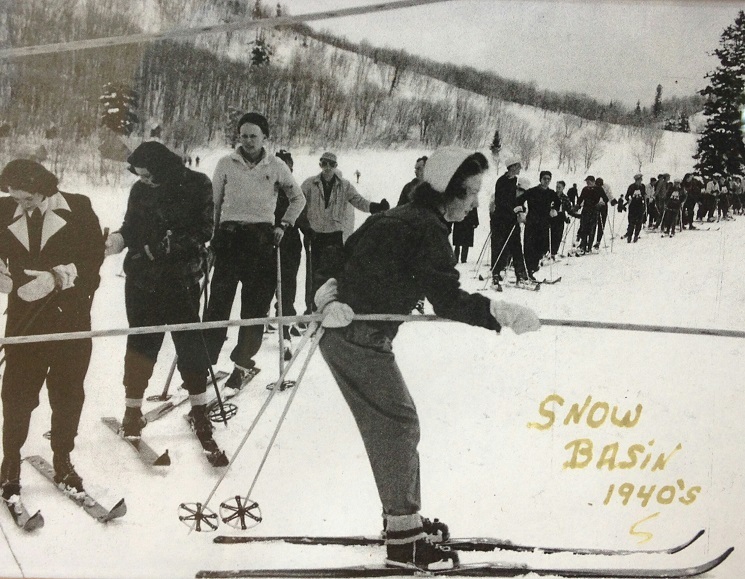 “Did you forget your season pass?” Now known as “Old Snow Basin Road” it was a big undertaking in 1940. Alf Engen was a Forest Service foreman and supervised the Huntsville CCC Crew that built the road into the area. The Civilian Conservation Corps (CCC) was a public work relief program that operated from 1933 to 1942 in the United States for unemployed, unmarried men from relief families as part of the New Deal. Originally for young men ages 18–23, it was eventually expanded to young men ages 17–28. Source: Wikipedia. 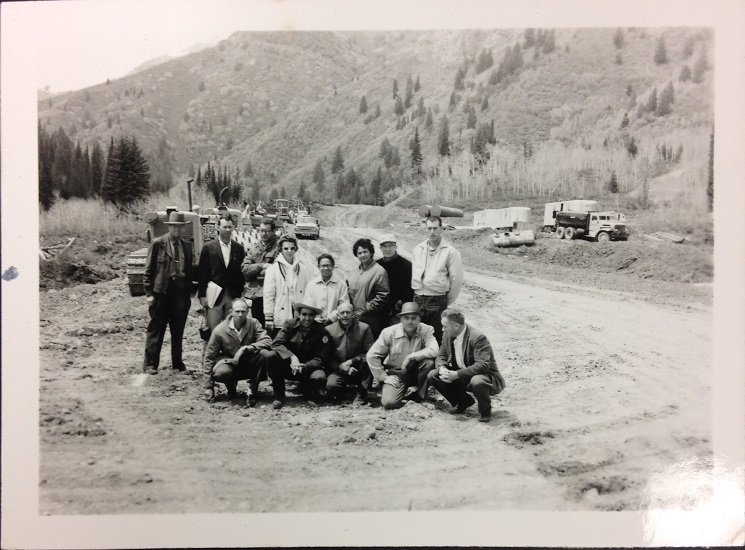 Road construction began in October of 1939 and was completed shortly before Snow Basin’s grand opening. From 1940 – 1945 the road was only gravel and chains were required. 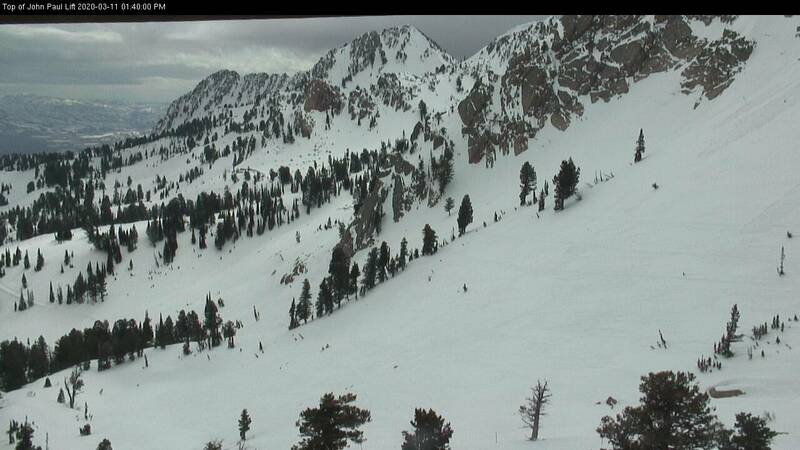 “Forest service officials report that those entering the basin last week who did not heed the sign at the highway “Chains are needed” lived to regret their decision.” –Ogden Standard Examiner. Asphalt wasn’t laid until the fall of 1945. 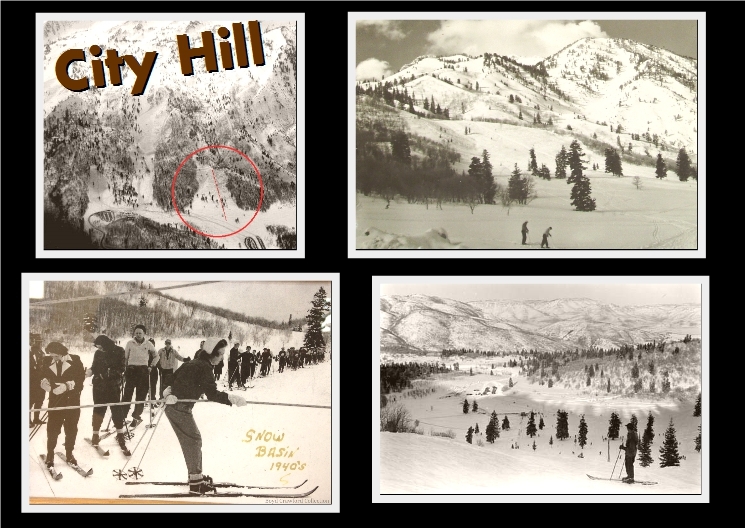 The City Hill Tow was a 2400 foot, oil treated, non-twist type rope tow that was constructed by Ogden Iron Works of Ogden, Utah. Ernest Schneider, professional at El Monte golf course was employed to run City Hill Tow and collect fees. City Hill Tow officially began operation on December 22, 1940. 1940-41 Tow Fees: One ride - 10 cents. All day ticket - $1. 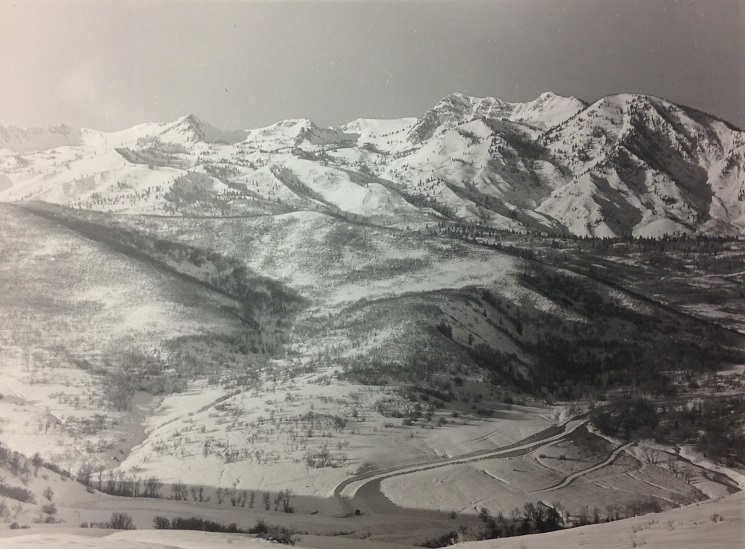 Top Left : A 1947 aerial photo of Snow Basin. City Hill is circled in red and the approximate location for the Rope tow Top Right: View of City Hill from the CCC Shelters. Bottom Left: City Hill Tow loading station. Bottom Right: Top of City Hill looking north with the lower parking lot (Where Earl's lodge and Grizzly Center are now located) Photos: U of U Archives, Boyd Crawford and Ralph Johnston Collection. 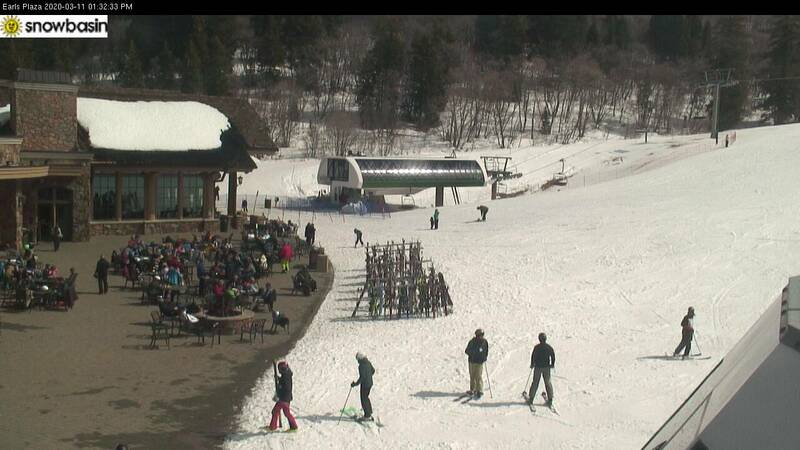 The City Hill Tow was used for many years and was the main run until the Wildcat Single Chair Lift was opened in 1946. 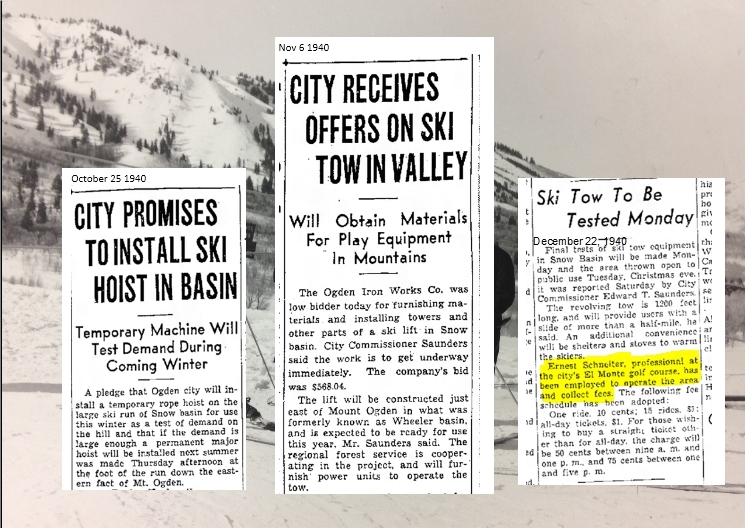 According to Boyd Crawford who started skiing at Snow Basin in 1942, the tow operated until the rope broke in the late 1940's. Boyd remembers riding the tow when it broke. Shortly after, the tow was dismantled. 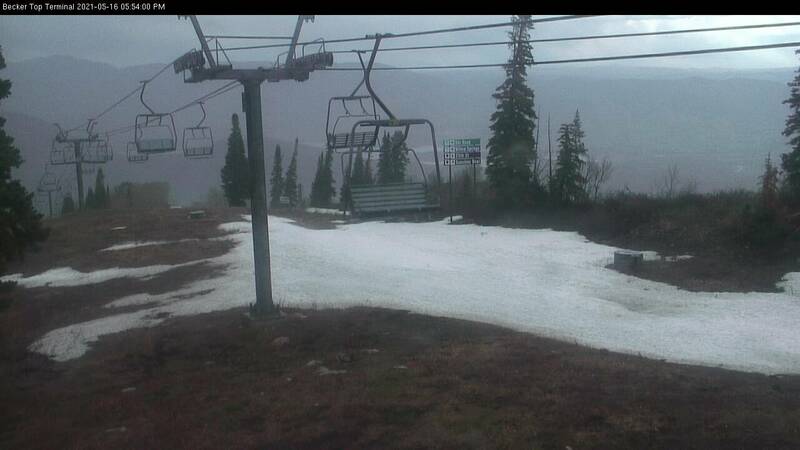 The ski run eventually grew in and wasn't cleared again until the mid 1990's as part of the major resort expansion. Click on the links below to view more entries from the 75th Anniversary Blog Series.